In the micro-blogging arena the twitter has become one of the famous and renowned platforms as it is easy to send messages and important information to people over the world. From business to celebrities all noted public faces are found on twitter as it is easy to stay connected with the friends and the family. The first thing that anybody should focus is how to start with the twitter account and how to gain twitter followers. The first thing that you need to consider is the avatar, which is the profile picture that would represent you. As it is your business view, you have to have an avatar that would represent you. You should make sure that the size of the image that you choose would fit well in your profile. Equivalent to your profile picture is your catchy self- description. This would get the attraction of the people to know more about you. You can also add the urls of the sites that you are looking to promote using the twitter platform. It is also crucial that you tweet at the right time. You should know who your target audiences are and when are they available on twitter, so that you would post tweets at the right time. When we speak about the targeted audience it is essential that you get know the geographic area as well from where you would be able to trap the right audience. If you tweet in a haphazard manner you would get some audience at random basis. Therefore you should get the targeted audience so that they can get you traffic to your website. It is crucial to understand how to send messages in twitter. There is something called as the @message which can be posted in the profile page so that you would get all of them to see it in the profile page of yours. You can simply enhance the followers by engaging them in your tweets. This can be best done by putting some questions which audience would find interesting and if these questions would grab the attention of the audience definitely they would reply to it. While using twitter it is very essential to post something informative. The reader should be given with some informative links about articles or websites which would bind their attention towards you. Often people look for different tweets to post. Sometimes you would have posted some informative tweets which some of your audiences would have missed. You can repeat those posts again and again so that they would get the attraction of the readers who have missed them previously. You can also include some of the pictures in the tweets to gain twitter followers as any picture would grab the attention faster than the written tweets. 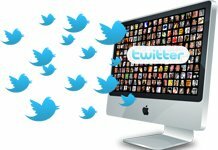 You should effectively use these techniques and with the available opportunity it is possible to use multiple social media platforms along with the twitter at once to get the attention of the people.